11/18/16 Instead of Buying Camels Build Shelters for Abandoned Animals! The news that the city of Durdevac is rapidly preparing for the arrival of four camels from Denmark in early December, intended for an "important role in the advent events," passed almost unnoticed. Sounding more like a bad joke on a satirical portal, it's stunning that the city of Durdevac Tourist Board is planning on using camels for "king Gaspar's, Melchior's and Balthasar's ride to the baby Jesus" before figuring out how to take advantage of its new tourist "attraction." The city is announcing organized caravans throughout Podravina's desert areas. After learning of Durdevac's plans, the Animal Friends association reached out four months ago to mayor Zeljko Lackovic and urged him to reconsider such an illogical decision. The Association warned that, in addition to ethical unacceptability and law violations, buying camels will mean long-term costs for the animals' purchase and transport, the costs of opening a zoological garden, and lifelong support for the camels. In addition, except for the exterior and imitation of sand region, the city of Durdevac doesn't meet the requirements of a desert climate, failing to ensure adequate living conditions for the camels. By using camels in the announced performances during Advent events, the city of Durdevac will consciously violate the Animal Protection Act, which prohibits keeping wild animals and using them in circus performances and other performances involving animals. By the same Act, domestic animals are defined as "animals tamed and domesticated by the man and which are bred for production of food, animal food and animal by-products and other economic purposes." Therefore, camels in Croatia are clearly considered wild animals, but the city of Durdevac is sending a message to the public that not only does it not care for the implementation of the Animal Protection Act, but it plans to openly and publicly violate it several times! Therefore, Animal Friends filed a report to the Veterinary Inspection and the Ministry of Agriculture asking for an explanation on legislation that allows specific rules in dealing with animals for single Croatian cities in comparison with the rest of Croatia. 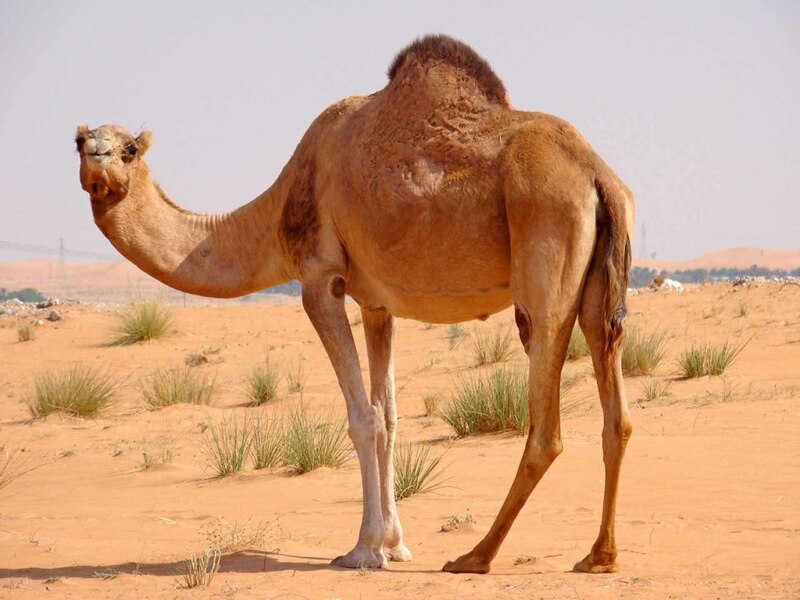 In accordance with the announcement of the illegal use of camels in performances, there is an online Tourist Board about building dwellings for the camels and the large amount of sand to be delivered there. It seems that the leadership of the city has not addressed the fact that keeping camels in captive requires the construction of a registered zoo by all standards, European directives and Croatian laws, and the very possibility of meeting the requirements and cost effectiveness has been questioned. All this effort requires exceptional long-term investments and maintenance. It's a relentless and pointless sinkhole for taxpayer money. Animal Friends proposes to the mayor that instead of the construction of detention places for camels and the import of new animals in the city, ​​which is already filled with abandoned animals, he should purposefully invest available funds in the construction of shelters, considering that the city of Durdevac still doesn't have one, despite the legal obligation. It is the obligation of local government units to set up a shelter and start all programs that are essential for its proper functioning, such as advertising programs, homing, neutering animals, as well as the education of the citizens. Animal Friends has already offered cooperation to the mayor with a goal to help animals and save taxpayer money, but the association did not receive any response. In the media, a Tourist Board representative responded to the complaints about bringing camels into Podravina where they aren't native animals... but his argument was that the Ottomans once used them as working animals. Referencing a practice from centuries ago to justify bringing camels into an inadequate climate says a lot about the ethical and societal awareness of the initiative's proponents. Even small children already know that they don't want to watch the animals forced to serve as entertainment for the masses and kept in captive where they’re always cramped and far away from their natural habitat, which often leads to psychotic and self-destructive behavior. Stress caused by confinement also weakens the immune system of animals -- and despite the alleged advantages of veterinarian care and regular meals, captivity can still lead to illness and even death. Animal Friends invites the mayor and the city of Durdevac Tourist Board to stop the arrival of camels, to invest that money in a shelter for abandoned animals and to base the city tourist offer on progressive values ​​appropriate for the 21st century, without the exploitation and confinement of animals.